As a real estate agent, it’s important to understand what contingent liabilities are and what’s covered under your E&O insurance. A contingent liability is a liability or debt that may or may not occur depending on the outcome of a specific event. Common examples in the real estate industry are lawsuits and pending investigations, as the outcomes of these are uncertain. In other industries, product warranties are a common type of contingent liability. From a finance perspective, ordinarily, businesses would set aside funds in the balance sheet for contingent liabilities. For example, if one of your clients sues you and your attorney thinks they have a strong case, you would make an allowance for a potential amount of damages on your balance sheet. You don’t owe this amount now, but you may in the future. 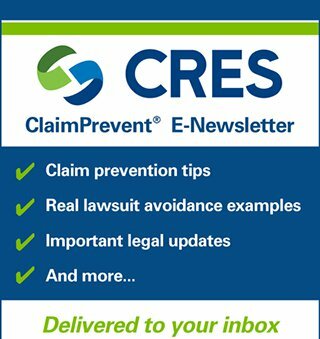 What Does CRES E&O + ClaimPrevent® Cover? As a real estate agent, you face a multitude of risks every day. The potential for lawsuits is high, and it’s important to make sure you’re covered by an extensive and real estate-specific insurance policy. This means, when insured with CRES, if a claim is brought against you for damages because of bodily injury (to a visitor of a property) or property damage that is not or would not be covered by a standard general liability coverage form, you will be covered under certain circumstances. These circumstances are when the cause is a negligent act on your behalf, an error, or omission solely in the rendering or failing to render services for which you are insured. See how Contingent Liability covers you for real estate signage problems. Payment of claims expenses, up to $250,000, by counsel of our choice, even if the suit is found to be groundless, false or fraudulent. There are some exclusions to the contingent liability. For example, motor vehicle liability is not covered, war, communicable diseases, and liabilities not arising out of insured services. It’s best to check with the CRES team about the full list of exclusions for the contingent liability coverage. Typically, E&O policies do not cover bodily injury or property damage under any circumstances. But you can customize your CRES E&O insurance to be sure you’re covered for contingent liability or Open House and Showings coverage. If you’re unsure whether you’re covered for contingent liabilities, speak to your insurer to check your coverage. It doesn’t normally come standard with E&O insurance policies, so it’s definitely worth paying attention to the fine print. To protect yourself against potential lawsuits in your real estate business, call the CRES team to discuss your coverage options. 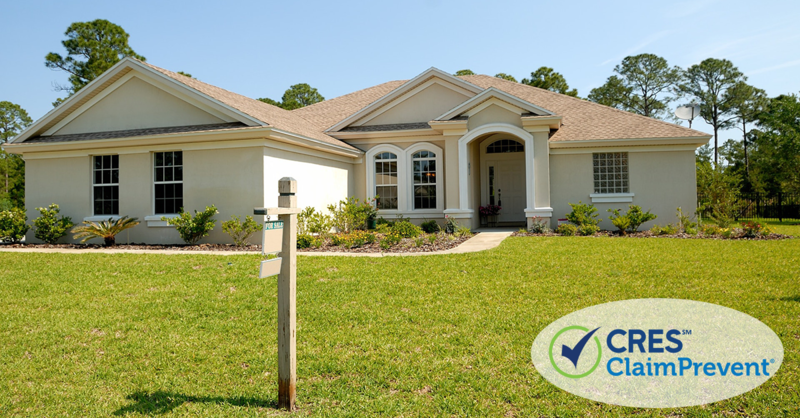 With CRES Real Estate Errors & Omissions (E&O) Insurance, you can customize your policy to help protect yourself against contingent liabilities as well as other risks you face as a real estate agent. CRES E&O + ClaimPrevent® policies also include free Legal Advisory Services available 7 days a week. Contact us at 800.880.2747 to find out more. *Claims examples are for illustrative purposes. Read your policy for a complete description of what is covered and excluded.